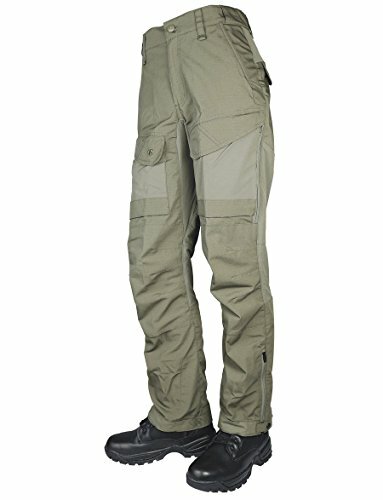 Tru-Spec’s 24-7 Xpedition cargo pants offer extreme levels of comfort and functionality perfect for outdoor use, training, or casual wear. 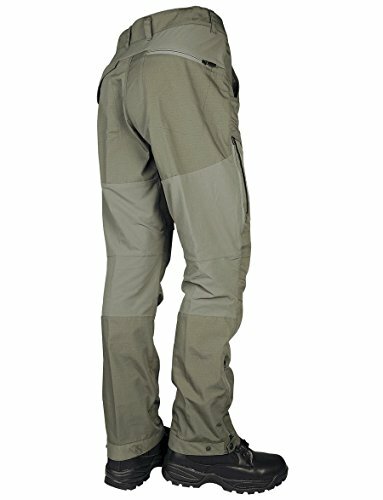 Made of lightweight and durable polyester cotton ripstop with a durable water repellent finish, these outdoor pants are built to last against everyday wear and tear. 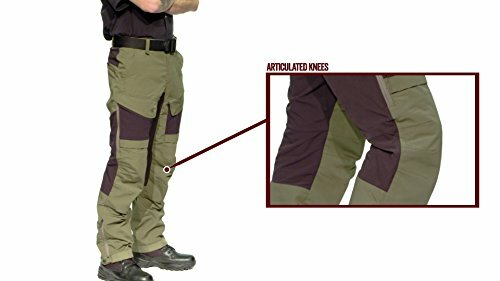 They also feature double weave nylon spandex accents on the hip, back of the knees, front cargo pockets, and gusset for virtually unrestricted movement. On top of that, Tru-Spec’s proprietary Comfort Slider Waistband is designed to move with you to grant an even higher degree of mobility, and eliminates the need for uncomfortable gathered elastic and inefficient adjustable waist tabs. 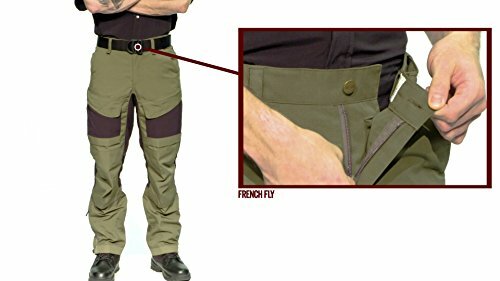 Dual mesh zippered cooling vents on each leg at the thigh and calf area for increased air flow and temperature regulation. Additional layer of nylon webbing fabric for reinforced durability from boots and strap adjustment with snaps on ankle cuffs and boot hooks. 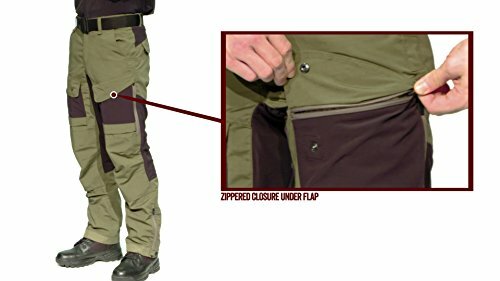 Double zippered leg opening with expandable mesh lining and venting options. 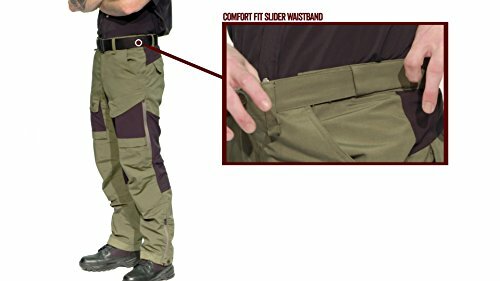 Front facing insert stretch cargo pockets with hidden snap closure and internal D-rings. 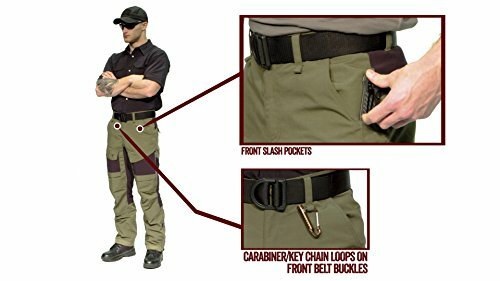 Left cargo pocket has zippered closure under flap for secure storage, with an easy access DropN pocket behind right cargo pocket.